Note: 1 slice of bacon (crumbled) is enough to garnish 4-6 glasses. Syrup: Heat water and honey in a coated pan while stirring. Take it from the stove and let it rest for a while. Smoked Honey Rim: Mix all the ingredients. Garnish a quarter of the glass rim with the mixture and cool glasses afterwards. 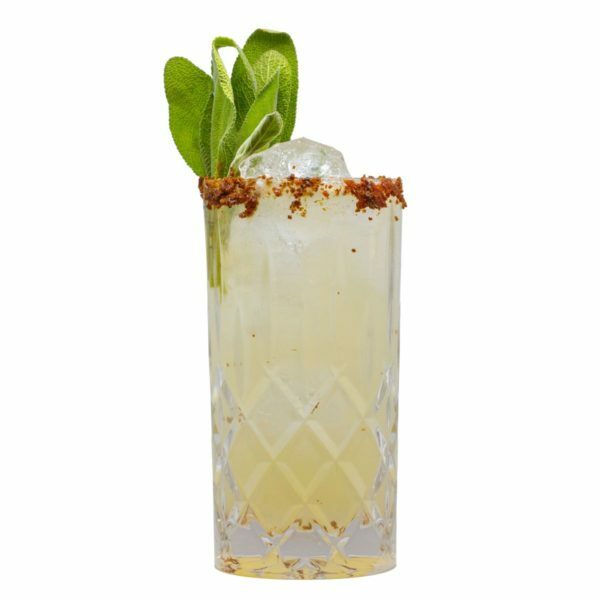 Pour all ingredients into the prepared glass filled with ice, stir, fill up with soda and garnish with fresh sage.